The Cardamom Mountains of Koh Kong and Pailin provinces are said to be the most pristine wilderness area remaining in South East Asia. The Cardamom Mountains are located in southwest Cambodia. The western edge of the Cardamom region abuts the Thai border while the easternmost part ends about sixty miles northwest of the Cambodian capital of Phnom Penh. The region's area is 2.5 million acres (1 million hectares). The highest point in the range (and in Cambodia) is Mount Aural, at 1,813 meters (5,946 feet). There are five main rivers that run through the Cardamom Mountains creating dozens of waterfalls. About 25,000 people live in this region; some of them are ethnic minorities such as the Porr. There are two wildlife sanctuaries in the Cardamoms both of which were decreed by King Norodom Sihanouk in 1993 solely on the basis of aerial photographs. Mt. Samkos Wildlife Sanctuary is in the western part of the range and Mt. Aural Wildlife Sanctuary is in the east. The Cardamom Mountains region are densely covered with lush virgin rainforest. 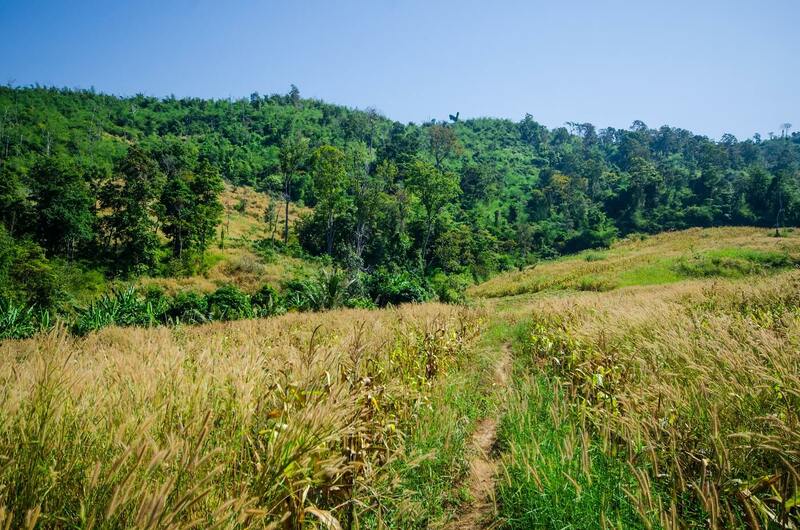 Rising to its highest point at over 1,770m, the Cardamoms extend over an area of 4,420,000 hectares (10,922,060 acres) covering a large portion of South Western Cambodia. The Cardamoms are considered to represent Southeast Asia's greatest natural resources in terms of virgin forest and wildlife habitats that have never been fully explored and/or catalogued. In 2000, Fauna and Flora International, Conservation International, and the Cambodian Ministry of Environment and Wildlife Protection Programme conducted a joint survey that covered only a small part of the vast expanse of unexplored land. Despite the minimal area under observation the survey identified 30 large mammal species, 30 small mammal species, more than 450 birds, 64 reptiles, 30 amphibians and many other plants and insects. To name just a few of the animals indigenous to this area would include elephants, tigers, clouded leopards and a variety of other mammals such as the Malaysian sun bear, pleated gibbons, and Siamese crocodiles all of which are high on the endangered species list and the only significant population thought to exist anywhere. Fauna & Flora International was the first to conduct extensive field surveys in the Cardamom Mountains of southwest Cambodia. They established the area as one of the last forest wilderness areas in mainland South East Asia. Isolated by their remoteness and rugged terrain and forgotten during years of conflict in Cambodia, the Cardamoms have at their core a virtually undisturbed forest covering over 10,000 square km. The Cardamom Mountain Wildlife Sanctuaries Project, a joint venture of Fauna & Flora International and Cambodia's Ministry of Environment, aims to ensure the long-term conservation of a landscape of global importance and its biodiversity while reducing poverty and ensuring essential national development. The focus is to establish and maintain management systems in two protected areas in southwest Cambodia: Phnom Samkos Wildlife Sanctuary and Phnom Aural Wildlife Sanctuary. The Cardamom Mountains are now known to contain almost all the country's known mammals, birds, reptiles and amphibians. Woodpecker, Common Flameback Owl, Spotted Wood Silver Pheasant Lessor Whistling Watercock Woodpecker, Crimson Winged Pigeon, Cinnamon Headed Green Woodpecker, Black Headed Woodpecker, Buff Necked Pigeon, Orange Breasted Green Bee Eater, Chestnut Headed Woodpecker, Orange Backed Kingfisher, Roufus Collared Kingfisher, Roufus Backed Pigeon, White Bellied Green Jar, Malaysian Eared Night Pigeon, Mountain Imperial Hornbill, Plain Pouched Bee Eater, Red Bearded Jacana, Pheasant Tailed Eagle, Black Chinese Francolin Hornbill, Bushy Crested Pigeon, Large Green Heron, Great Billed Kingfisher, Stork Billed Hornbill, Wreathed Kite, Black Shouldered Kingfisher, Common Stork, Woolly Necked Kingfisher, Black Capped Lapwing, Red Wattled Fireback, Siamese Barbet, Green Eared Falcon, Perigrine Barbet, Moustached Crake, Ruddy Creasted Hornbill, Oriental Pied Pigeon, Nicobar Barbet, Brown Malaysian Honey Guide Northern Goshawk Bee Eater, Blue Tailed Jacana, Bronze Winged Quail, Blue Crested Woodpecker, Bamboo Snipe, Swinehoes Malkoha, Black Bellied Cuckoo, Lessor Red Breasted Barbet, Golden Throated Duck, Hornbill, Rhinoceros Cuckoo, Asian Emerald Hornbill, Helmeted Dove, Little Cuckoo Crake, Black Tailed Coucal, Lessor Hornbill Great Kite, Black Kite, Brahminy Crane, Sarus Crow, House Asian Koel Kingfisher, Pied Kingfisher, Ruddy Blue Eared Great Argus, Kingfisher, Collared Barbet, Parakeet, Green Peafowl, Snipe, Common Asian Dowitcher Watercock Coucal, Greater Indian Skimmer Harrier, and Hen.